Simsimi can be thought by anymore. 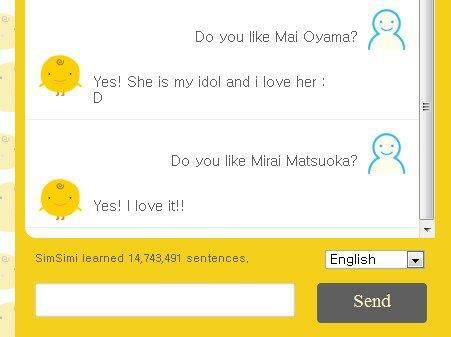 Offensive or not, the reason why I don't really find Simsimi a good robot. Obviously, it just answer what it has on it's keyword directory unlike Cleverbot. Try it.